BASKETBALL SPOTLIGHT NEWS: AC Showcase Highlights: Team DEMI Getting Busy! AC Showcase Highlights: Team DEMI Getting Busy! 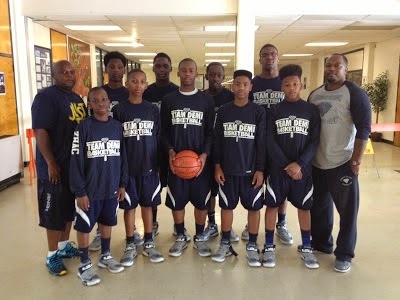 One of the most exciting teams this year on the Basketball Spotlight circuit has been Team DEMI from Boston, Massachusetts. The Beantown boys recently played in the AC Showcase and once again took quite a few teams to the brink while making it to the final four. They have a serious group of guards and an attacking style that few teams can handle. Check out their highlights from AC. Basketball Spotlight we keep it coming! The Grand Finale Final Four Field Announced! Basketball Spotlight MDC Is In The Books! Basketball Spotlight MDC Is Sold Out!